After graduate school, Raven learned the art of hypnosis. Hypnosis proved to be a fast and effect tool for healing. When you relax and allow your subconscious to come forward, you heal very quickly. We bury hidden tension in our subconscious. We overreact, and we don’t know why. Some of us have accepted false programming from an early age, or have talked ourselves into false underlying beliefs like, “I am not good enough”, creating low self-esteem. Raven performs two kinds of hypnosis. The first is light relaxation, without vocalization, that clears the chakra system while reinforcing new positive programs at the level of the higher self and conscious mind. Raven also performs deep hypnosis, with verbalization, during which people experience past life regression, connect to departed love ones, see their angels, travel to the astral realm, and connect to their higher self. Raven has also performed deep hypnosis for regression work, for those who have experience lost time. Raven assists clients in understanding the meditation state, and teaches how to quiet and calm an overactive mind. After the angels started talking to Raven, she started to understand that clients don’t have to remember their past life to clear the trauma. Raven could clear traumas lingering in the emotional/energy/ethereal body, without the client having to recall the specific memories. Raven is also able to give past life readings. This allows both her and the client to know exactly just how many past and current life issues are contributing to each obstacle. For example, low self-esteem might be rooted in memories from 3 past lives, buried deep in the subconscious, and 15 current life memories. In hypnosis, we start to lift out the black trauma spots on the auric field, each issues taking 1 or 2 sessions to resolve. This type of hypnosis is called Negative Energy Release Work, and it works great! For more information see the NERW page. If clients are interested in knowing about past life, Raven can hold a session for them and communicate this. However, in relationship to healing, it’s not so important to know what the past trauma is, what is important is to clear it and resolve the underlying, uncomfortable feelings. Negative Energy Release Work is a form of hypnotherapy developed by Raven. It involves a light relaxation and a clearing of the energy/emotional/etheric body, while receiving positive affirmations and re-programming to the higher self. Raven describes this practice as getting a massage for the emotional body. Everyone leaves feeling better than when they started. For more information on this treatment, please see the NERW session for a detailed description. Behavioral suggestions are with what most people think of when they think of using hypnosis to change behaviors. When you relax deeply, you are at a highly suggestible state of consciousness. I can help you to plant seed thoughts for changes in behaviors. After we have established incorrect underlying beliefs, suggestions for healing are used through the relaxation. Learning how to meditate is a form of hypnotherapy. Many people don’t understand meditation, or get stuck in the practice and don’t feel the benefits. I guide clients into deeper states of meditation. It can be very hard for clients to understand the benefits of meditation, or why anyone would want to sit in silence. Often times, it takes a teacher to guide the student in the direction they want to go. Once you have traveled to your inter sanctuary a few times with a teacher or in groups, you understand where to go. Once you know what to feel for and how to draw in loving energy, it is much easier to get there on your own. Regression work can be requested for many different purposes. I have used regression work to help people find lost time. If you feel like you have experienced lost time and would like to investigate, this service is available to you. If you suffer from road rage, a hot temper, consistently irritated, or go from zero to 10 in a second, this treatment can calm your life. If significant others are scared of you and feel like their walking on egg shells, you can soften this defensive edge, calm down, and create more space for positive interactions. Many people harbor uncomfortable feelings in their emotional body. Most doctors suggest popping pills to cover these uncomfortable feelings. Hypnosis asks you discover the source of the emotional pain and then dissolve it so that it no longer exists within you. Once the heavy, nervous or fear based feelings are lifted, your symptoms decrease. Events come up that are stressful, uncomfortable and jarring to our beings. If you feel like you are having a nervous breakdown and can’t take it anymore, come in for immediate relief. You still need to work through the story, but this treatment is different than talk therapy alone, which can leave you feeling unsettled and more upset then when you walked in the room. You leave the session feeling all put back together so you can handle it and deal with it more effectively. When we attach to other people we feel deeply connected and find it hard to let go, especially with a lover that is no longer serving you. Do you wish you could let someone go, but find yourself being consistently drawn back in? You can’t help but text or react? For some reason this person holds power over you? Maybe you feel you should let the relationship go, but something makes you wonder if you should just wait or remain in connect. You feel very confused. If you’re ready to let it go, but your will power is weak, consider this treatment. Many of us suffered traumas as childhood events that pledge our present day reality and prevent us from moving forward. You may even have been told by a love one that you need to resolve an issue from your past. Hypnosis is great is for that. If you feel your experience was too traumatic and you don’t want to recall it, try Negative Energy Release Work which is just as effective and doesn’t require direct recall. Imagine if you had the opportunity to connect directly to your highest wisdom and ask any questions that you wanted. It almost sounds too good to be true, but I have performed enough sessions over the years to be adamant that the process works and produces amazing results. You can contact your higher self, if that is your intention. Questions can range from what is my life purpose, should I move or make a change, what do I need to improve my situation, why I am experiencing this situation and what actions will improve my life. This session is consider a deep hypnosis session and includes a past life regression. Many people struggle with out of balance bodies. Hypnosis can assist you in understanding what is missing in your life that food is compensating for. Hypnosis can assist you crave healthy food and reject unhealthy foods. Hypnosis supports your overall weight loss program. There is no magic bullet for weight loss and often weight gain is tied to other factors like low-self esteem, protecting yourself or emotion eating to self sooth. Hypnosis for Weight Loss is effective but takes more than one session to see results. Many people, especially those with anxiety, don’t believe that they can achieve an altered state of conscious. Many people tell me they don’t think they can be hypnotized and are completely surprised by the experience. Everyone can relax and be hypnotized. You go into trance often, when you watch a movie or TV or when your drive for hours. You relax, focus, suspend your own story and go into an experience that is created for you. Everyone can achieve an Alpha state of relaxation. Hypnosis is completely safe. The ability to be hypnotized, assume you want to be hypnotized and are willing to do so. If you don’t want to by hypnotized, or are afraid to be hypnotized, then no one can hypnotize you. If you are curious but have concern, I encourage to listen to a few meditation in the Podcast portion of this website. What is an Alpha state of relaxation? Explain the different states of relaxation. There are four states of relaxation or consciousness, Beta, Alpha, Theta and Delta. Beta is your conscious wakeful state, if you are reading this you are in Beta state. Alpha is a relaxation state. You achieve this state often, when you are watching a movie, getting a massage, getting a manicure or pedicure or relaxing on a lawn chair enjoying a lazy day. Many people practice meditation in Alpha state. Theta state is a deeper level of trance. In this state your body stays relaxed and it almost feels like you are asleep, but you are conscious and your ability to visualize is heightened. This is the deepest state of trance and about 7 out of 10 people can go into this state. 10 out of 10 people can achieve an alpha state of relaxation. Theta conscious is a somnambulistic state of consciousness. Meaning you’re asleep, but able to answer my questions and respond to me so I can record your responses. Delta state is sleeping and unconscious and contains the rapid eye moment dream states. Can you tell me more about a 1.5 or 2 hour hypnosis session? Most people want to process their story, or receive an update about how they are progressing. This usually takes 30 to 45 minutes, depending on the intensity of the narrative. It can also take time for me to get the reading to know what we are working in. An additional 30 to 60 minutes is needed to perform the relaxation and Negative Energy Release Work (NERW). NERW can be performed in person, or via phone or Skype. Therefore, a suggested session is 1.5 to 2 hours. Why does a deep hypnosis session to a past life or astral travel take 4 hours? Deep hypnosis sessions are 3.5 to 4 hours long. A four hour session consists of a 1 to 1.5 hour interview, 2 hours in trance, and 30 min post-session interview. 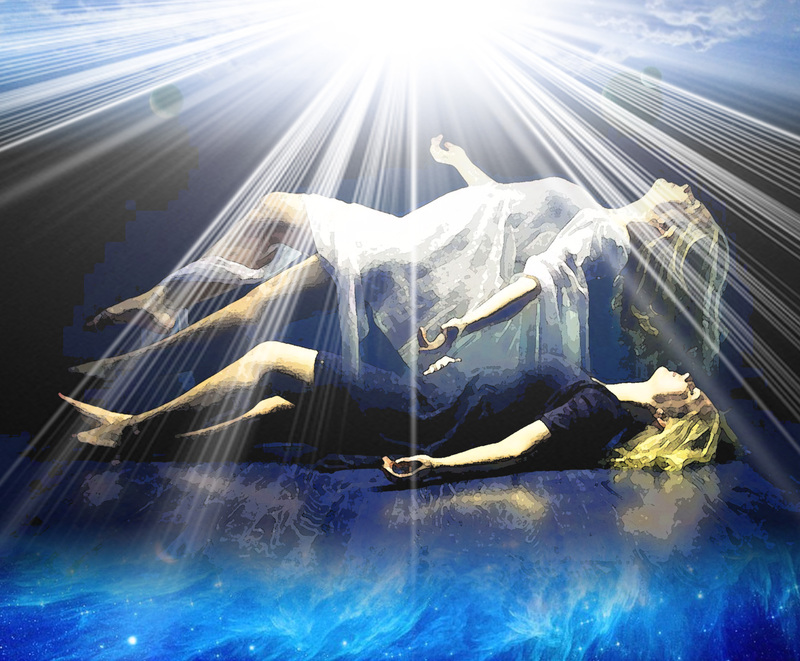 During the 2 hours in trance, clients receive energy clearing, experience a past life and astral travel, and connect with their higher self. This is followed by a post-session interview. During the initial interview, the client is asked to give their life review, and all important milestones in their life. Clients are asked to bring in their list of questions that they would like answered. These questions are reviewed for clarity. Induction can take 20 to 30 minutes, depending on a person’s ability to relax and trust in the process. The inter journey can go in many directions, and is unique for each person. Clients are asked to vocalize during the session. The trance session is recorded. During the post-session interview, Raven reviews the important points and insights that were gained during the process. If you are repeat client, and I know your history and information that you would like to receive. Then this session can take 2.5 to 3 hours. I have a traumatic and uncomfortable past. I experienced trauma during most of my early or present life. I am afraid to be hypnotize and don’t want to go back to those dark experiences. Can I be hypnotized if I don’t want to re-experience the past? During the hypnotic process you are in complete control of what you are experiencing. If you are afraid of recalling your past experiences but still want to receive some reduction of symptoms, then I would suggest Negative Energy Release Work. In this process you don’t have to recall anything. You simply allow the treatment to fish out negative energy while you experience a relaxation. As the practitioner I don’t need to know exactly what the negative energy is or where it came from. I can feel for it, and remove it. See Negative Energy Release Work for more information. Should I be afraid of the hypnosis experience? This experience is completely safe. We are surrounded by the vibrations of love and light. It is very positive. To get a feel for my relaxation work, please listen to my meditation. Most clients find this work fun, interesting, and full of healing energies – love, calmness, and joy. I have my own therapist that I have worked with for some time. Can I come to you for hypnotherapy as an adjunct to therapist service? Yes. Absolutely, in fact some clients are in therapy with other counselors but seek an additional or alternative treatment method to regular talk therapy services. I highly suggest that if you are in relationship with a trusted counselor that you keep that support system. Hypnosis works as an adjunct to regular therapy work. I see many people one-time or two-times only depending on their needs. Why is it important to do hypnosis work? If you are ready to heal, consider hypnosis. There is an opportunity for you to heal deep within yourself at a subconscious level of your being. You can chose to clear unwanted behaviors, relationships and self-destructive patterns. You can quickly gain insight and formulate a plan for moving in the direction of your highest best interest.